Introducing the purest of the pure. 100% raw unrefined shea butter. 100% fair trade. 100% African. Deeply nourishes and restores dry and damaged skin, ezcema and skin irritations. Instantly enriches and conditions hair and soothing dry and itchy scalps. Our raw, unrefined shea butter is packed with delicious vitamins and minerals to make your skin feel soft, supple and beautiful. 250mls of pure, unrefined goodness. Straight from Mama Africa to you. WHY ARE WOMEN OBSESSED WITH SHEA BUTTER? Our pure, unrefined shea butter is produced by women in Ghana, West Africa, where the shea tree/ Karite tree naturally grows. 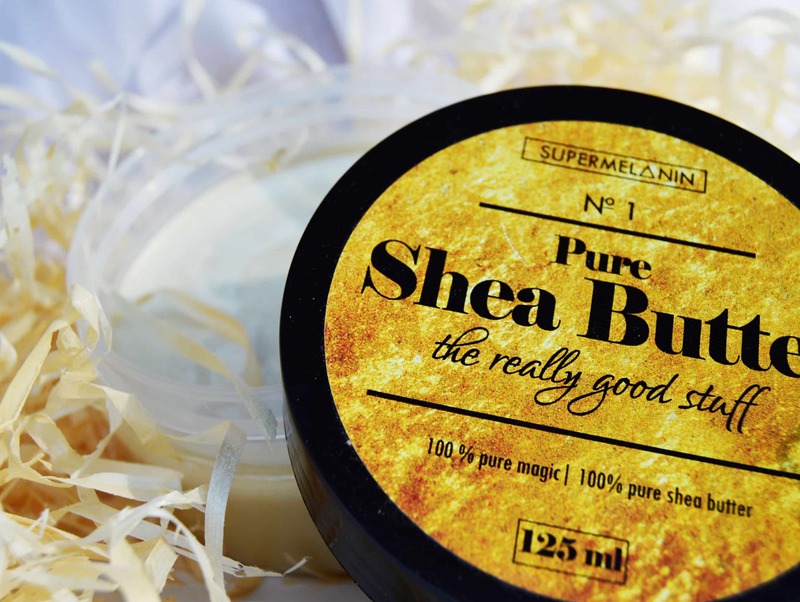 Unrefined shea butter is used for an endless amount of uses by South African women: the number one reason is for deeply moisturising skin and moisturising natural hair. Pure, unrefined shea butter is also known as Women’s Gold because women in communities across West Africa are able to make a sustainable living extracting the rich oil from the shea nut and producing it for women around the world. Purchasing fair trade shea butter like ours is a way of supporting and empowering communities of women. SHOULD I PURCHASE THE IVORY SHEA BUTTER OR THE YELLOW SHEA BUTTER? WHAT’S THE DIFFERENCE? 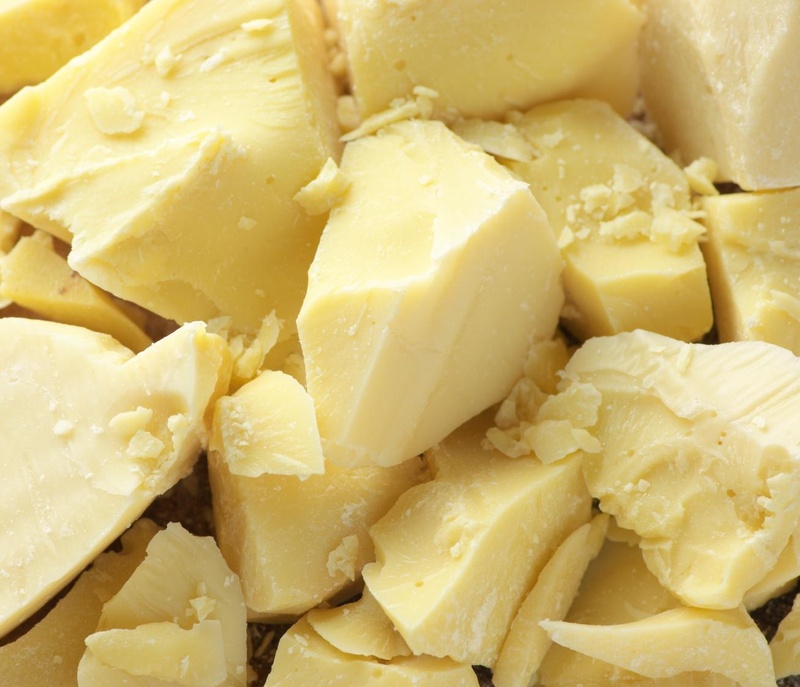 Pure, unrefined shea butter is often an ivory/ cream colour. If shea butter is white, it is refined/ processed/ filtered which means essential nutrients are missing. This shea butter is also bleached to produce the white colour and remove the natural nutty smell of pure, raw, unrefined shea butter. Yellow shea butter is sometimes shea butter that has been coloured with turmeric or with the the bright coloured yellow shavings of the Borututu tree. HOW SHOULD I USE PURE, UNREFINED, RAW SHEA BUTTER? Though shea butter is in solid form, with a little warmth, it instantly melts into your skin, work it into your skin, leaving your skin feeling soft and supple. Apply a small amount to the ends of your hair and the roots, work the shea butter into your hair. Get great tips on moisturizing your natural hair in our “I’m Natural Now What?“. With continued use reduces scars, blemishes, stretch marks, and dark spots. If you are allergic to nuts, shea butter is not for you as it produced from the shea nut, native to West Africa. • It’s raw and unrefined – no chemicals. A lot of brands claim to be unrefined, but they are not. Great quality Shea butter. Love for homemade lip balm, body butters, lotions and other skin care products. Would highly recommend! I am incredibly happy with my purchase of this Shea Butter! I finally made the Whipped Lavender Body Butter recipe that I had found online. Let’s just say that I’m going to throw out every non-natural product I own because I’m not going back to chemical products!!! When I opened the bottle of shea butter, it had a warm earthy/nutty scent. Even though I liked it, I had to test it the scent on my boyfriend. He said he liked it too and he didn’t mind when I wore it on my face or in my hair. I’ve melted it down and added it to my conditioner. My hair has never been softer. The smell is very earthy, but not unbearable like other shea butters I’ve tried. Loving it so far. I have read all the reviews and was worried about the smell and consistency. I got my package yesterday and made my first homemade deodorant: equal parts baking soda and shea and coconut oil, play with the ratio to get your perfect consistency and add a few drops essential oil. After using it everyday for a month I do not have that foul armpit body odor anymore. Best shea butter ever. Was not a fan of the smell at first, but I love it now. Its doing wonders for my ezcema and dry skin. This blends well into my hair and and I know will be ordering again. I have used unrefined shea butter for a couple of years. But this is my first time using shea butter from Supermelanin. I must say, I am very impressed. It’s even better than my previous shea butter which was very grainy. I am a very satisfied and will definitely re-order this. Keeps me and my daughter’s natural hair moisturised & our skin is popping. Two of my kids have eczema & this shea butter has really been working well for them, maybe better than their medicated creams! I whipped up some with coconut oil and have been using it as a shaving cream. My legs look healthier and sexier!! A small amount goes a long way and I am using it for my hair and body. There is no need to heat it up if you plan to use it like me (I am not melting it because I wish for it to maintain all of its proprieties without the heat compromising it). Both of my children have eczema & I use Shea Butter instead of their meds as it works better for their skin! Super natural moisturizer for my type 4 hair. Guuuurl. This is it. I am in love. On a serious note, this is doing wonders for my ‘fro. Softens and moisturizes. The price for such a great quality product really makes this a steal. Shea butter is usually so expensive online, which made me wary about purchasing online, but I’m so glad that I did. If you are not a fan of Joburg Winters, then this is for you. My daughter and I are in love with the stuff. Thanks for supplying affordable natural products that don’t break the bank. Don’t worry about the scent. We are too used to commercial ingredients. I use this after I shower and it’s rich and moisturizing. It comes as two 125ml tubs so I was able to give one to a friend. I don’t regret using it one bit. I’m defs ordering more soon. Smells very natural and nutty. Used it throughout winter and survived. Perfect for my baby’s bottom too. First product I’ve ever used on my ENTIRE body. Thank you! This was my first online purchase. I ordered this a month ago and wanted to wait to see if I was really satisfied before writing my own review. My package arrived in two days and I got two tubs. When it comes to shea butter, I am very picky and selective. I have not been disappointed. This is a great brand. The previous shea butter I used was very grainy and had a very unpleasant smell. This one is not grainy at all. Immediately you rub it on your body, it starts to melt and become more like an oil. I’ve been using it on my 3c curls and I plan to use it for my post-pregnancy stretchmarks. Not a fan of the smell, but the product works great. Hi guys, I got my package today, so here’s my breakdown. I am trying to go natural and looking for affordable products for my skin and hair. I am a self-proclaimed product junkie, so I love experimenting with new butters and recipes and finding the right one for me. This shea butter definitely is. There’s not much that I can say that hasn’t already been expressed. I too am extremely pleased with the Shea butter. It arrived earlier than expected in two tubs and it has been great to use. 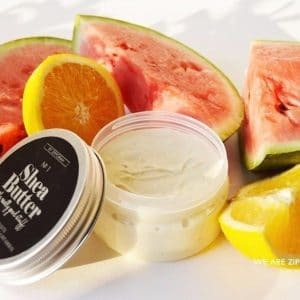 I have been using this shea butter to make my own acne facial cream. I blend the Shea Butter with essential oils and apply it nightly before bed. In 1 year, this is only my 2nd time having to buy it since I only use it on my face, so a little goes a very long way. I’d recommend it for anyone who has acne to try it. This is by far the best shea I’ve ever had, I’ve been through some bad ones with fragrance and rancidity issues – some were definitely off. This is pure shea butter down to the scent. Get used to it. It’s the real deal. Supermelanin is the best. This Shea butter smells good, it’s creamy and so easy to work with. I bought the shea butter with the Moisture Me spritz and the African black soap. I have enjoyed using all of the products. NEVER going back to chemical lotions. I am absolutely love this shea butter and would give it 10/5!!! It’s always great to open up your Shea Butter and know that it is natural, raw and unrefined. As a new mom, I really struggled to find something that works on my daughter’s dry skin. I tried this on her immediately after her bath and it has really been working. It melts right into her skin after bath time, and has made her skin so supple. It also doesn’t hurt that the product is 100% natural, so I don’t need to do extra research on the ingredients. It requires a little more effort to soften up than most creams, so I added teatree and lavender oil to mine and I use it on my entire body, head to toe. My skin has been peeling around my armpit- and after using this once the peeling skin is going away already! I have tried everything and this is the only thing that works 🙂 happy with my purchase. Leaves my skin feeling very smooth and moisturised. Lovely, lovely shea butter! 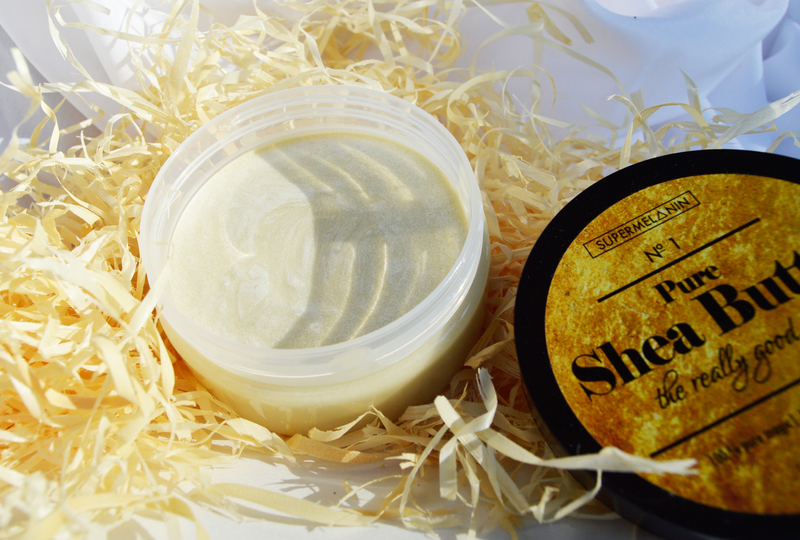 The shea butter has a lovely warm nutty smell and is so thick and creamy. Loving my shea butter!